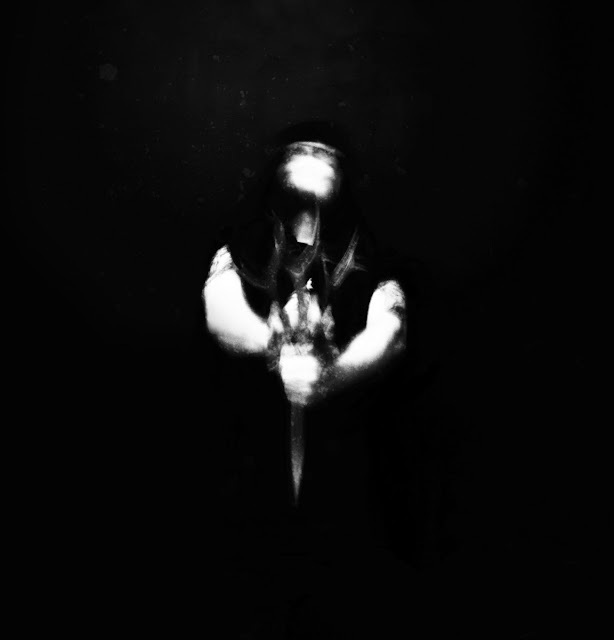 I've written about black metal for nearly six years. I've been listening to it for approximately fifteen. It's easier for me to find inadequacies or cave in to the desire to revisit old favorites than it used to be, and yet I'm still wholly engaged by the music when it's done right. When I first heard Nahtrunar's stunning new album, Mysterium Tremendum, it was illuminating. I had been in the grip of a period of detachment and discontent, spending more time with other genres that were newer to me and, consequently, more exciting. Then, on a February morning, I happened upon this majestic piece of jet black rawness, glistening like obsidian against its own darkness. The sense of might and melody that captured my teenage mind appeared, renewed by the conviction and intensity of the artist's creation. It's safe to say this will stand among the year's finest offerings in any genre, and it's likely it will be the crowning black metal achievement of 2018. From the start rather than attempting to alter or obfuscate Nahtrunar's roots in second-wave black metal's rich sound, the approach is a dead-ahead expression of pure atmosphere. Guitar leads shimmer in moments, but lean back into the tapestry of accompanying instruments instead of forcing their way to the forefront. The fusion of leads and vocals in with more consistent layers of sound guarantees that even the most unexpected moments present themselves naturally and consistently. There's also something to be said for the anonymity of Nahtrunar's membership. I've long held the belief that even artists who explicitly remove themselves from the act of performing are still making a performance in their own obscurity. The sense of detachment from self plays directly into the transcendent sounds and aims of the music and serves as a further function of this expression. Is there something repetitive to the writing by this point? It's possible. There is something challenging about assessing or qualifying exactly why a collection of well-done takes on a familiar sound is somehow better than others. One can state it as a matter of preference, which isn't wrong, but it's more than just that. There's a feeling and a form to something like this that places it in a timeless category. It's the difference between something you enjoy and something you remember. It's hard to state how or why, and this review clearly displays my own inability to touch on this, but Nahtrunar captures the magic and feeling of albums released more than twenty years earlier on Mysterium Tremendum, taking this listener back to a formative place where I first fell in love with this genre. While it may be a silly turn of phrase, I hope you'll also fall in love when you listen. On a human note, this is incredibly expensive to ship to the United States. I'd love to own this but cannot afford this expense for a single LP. If you are aware of any distros in the North American continent with copies, please get in touch.